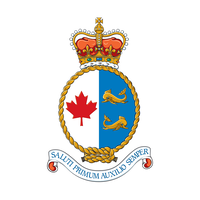 The Canadian Coast Guard (CCG) owns and operates the federal government’s civilian fleet, and provides key maritime services to Canadians such as: marine search and rescue, marine pollution response, marine communications and traffic management services, icebreaking and ice-management services, aids to navigation, channel maintenance and support of other government departments, boards and agencies by providing ships, aircraft and other services. As a Special Operating Agency of Fisheries and Oceans Canada (DFO), the CCG helps DFO meet its responsibility to ensure safe and accessible waterways for Canadians. La Garde côtière canadienne (GCC) possède et exploite la flotte civile du gouvernement fédéral et fournit aux Canadiens des services maritimes essentiels, notamment les suivants: recherche et sauvetage en mer, intervention en cas de pollution marine, services de communications et de gestion du trafic maritimes, services de déglaçage et de gestion des glaces, aides à la navigation, à l'entretien des canaux et au soutien d'autres ministères, conseils et agences du gouvernement en fournissant des navires, des aéronefs et d'autres services. PERMANENT SHORE JOB WITH GREAT PENSION AND BENEFITS: Become a Marine Search and Rescue (SAR) Coordinator! Marine Search and Rescue (SAR) Coordinators at the Joint Rescue Coordination Centre (JRCC) in Trenton provide an invaluable service to people in need of assistance on the federally controlled waterways of the Trenton Search & Rescue Region. Maritime SAR Coordinators oversee the activation, planning, and coordination, of Maritime Search and Rescue with the help of strategically located Canadian Coast Guard SAR vessels, Royal Canadian Air Force resources, and partners like police, fire, and emergency medical services (EMS). · Spend more time with family and friends. The work schedule at a JRCC is 4 days on and 4 days off. · Enjoy generous paid time off. · In addition to generous paid time off, you will also start contributing to one of the best pension plans in Canada and benefit from excellent insurance coverage. What qualifications do I need to be considered for this opportunity? 12 months sea time experience as navigation officer in charge of a watch. $70,213 to $79,832 - -Coordinators are eligible to an annual allowance in the amount of $3,154 and hourly bonuses for evenings, nights and weekends shifts. How do I become part of the team? If you meet the listed qualifications, are interested in this opportunity and exemplify our core values, please apply online! Job Title PERMANENT SHORE JOB WITH GREAT PENSION AND BENEFITS: Become a Marine Search and Rescue (SAR) Coordinator! Salary $70,213 to $79,832 - -Coordinators are eligible to an annual allowance in the amount of $3,154 and hourly bonuses for evenings, nights and weekends shifts. Copyright © 2019 Shipout.ca All Rights Reserved.